Along with good agronomic practices, weather and growing conditions impact harvest seed yield and quality of annual field crops including canola. Although predicting growing season weather remains a challenge, a team of researchers wanted to know if it might be possible to predict canola quality prior to harvest by looking at growing season weather and environmental conditions during the crop year. Canola is known to be a very “plastic” crop. Researchers at the University of Manitoba conducted at two-year project to try to answer questions around weather and canola seed quality. The overall objective of the project was to quantify the effects of growing season weather on canola quality for the purpose of predicting canola quality prior to harvest. Graduate student Taryn Dickson led the project. She is now with the Canola Council of Canada. For the intensively monitored sites, a large number of weather parameters were measured and data on canola development stage was collected. The parameters monitored ranged from growing degree days and calendar days to temperature, heat stress measures, evaporative demand and precipitation at various stages of development from the time of seeding until harvest. Critical canola quality parameters were measured such as oil content, protein content, chlorophyll, glucosinolates, and specific fatty acids, including oleic, linoleic and linolenic acid content. The CGC harvest survey samples also underwent the same quality analysis. Specific canola varieties were selected to determine the effects of genotype on quality. Weather databases were used to determine growing season conditions at each sample site and to generate a similar set of weather parameters for factors such as precipitation, heat stress and water stress at different stages of canola development at each location. 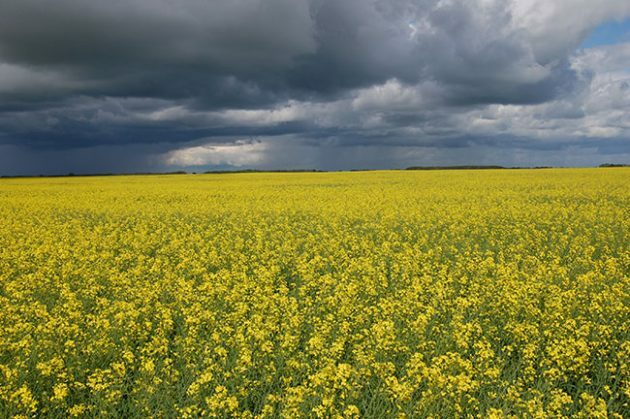 Overall, the PLS models could only predict between seven and 49 per cent of the variation in quality of canola based on the weather information. This is not a very strong correlation, and shows that the weather parameters make up only a portion of the total environmental impact on canola quality parameters. Other important factors including soil characteristics, available plant nutrients and overall farm management practices. With the completion of this project on canola, Bullock decided to conduct another wheat quality study, based on some earlier work about 10 years ago. The project will focus on how environmental conditions affect the production of wheat proteins, protein quality and gluten strength. 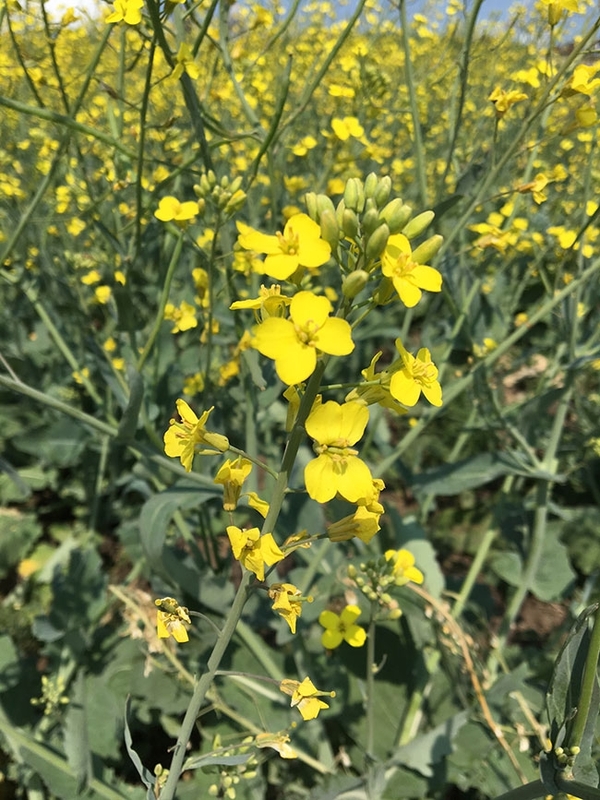 For now, although growers can’t control the weather, they can focus on implementing good agronomic practices to minimize the impacts of other variables and maximize canola quality. In the future, weather may be able to be used to predict specific quality trends such as protein or gluten strength in wheat, but for crops like canola it is other factors that will play a bigger role in quality.